The Roobee investment platform has received over $4.5 million in early pre-seed funding from an investor backed by over 200 million dollars in capital and is preparing to launch its first private MVP version in Q1 of 2019. A Bloomberg featured private investor holding over 200 million in Ethereum has extended support to the Roobee blockchain-powered platform. The investor is known for his pre-seed investments in such projects like EOS and Ethereum, one of which he turned into $283 million from $55 in just a month. For the first time on the market, the Roobee platform, backed by AI and blockchain, will offer an advanced selection of various investment tools for users to compile a diversified portfolio and hedge the risks at 0% fees for buying investment products. The company is preparing to launch its first private version of MVP in Q1 2019 for a community of over 200,000 participants. Roobee combines various highly quoted and verified investment instruments that have been incorporated into the platform to grant Z & Y generation investors access to loans, IPOs, venture capital, stocks, cryptocurrencies, and other market options. As stated in the company’s press release, the highest accuracy of investment return statistics will be ensured through the use of smart contracts and recording the values on the blockchain, which means that the data is fully transparent and cannot be changed even by the product creators. 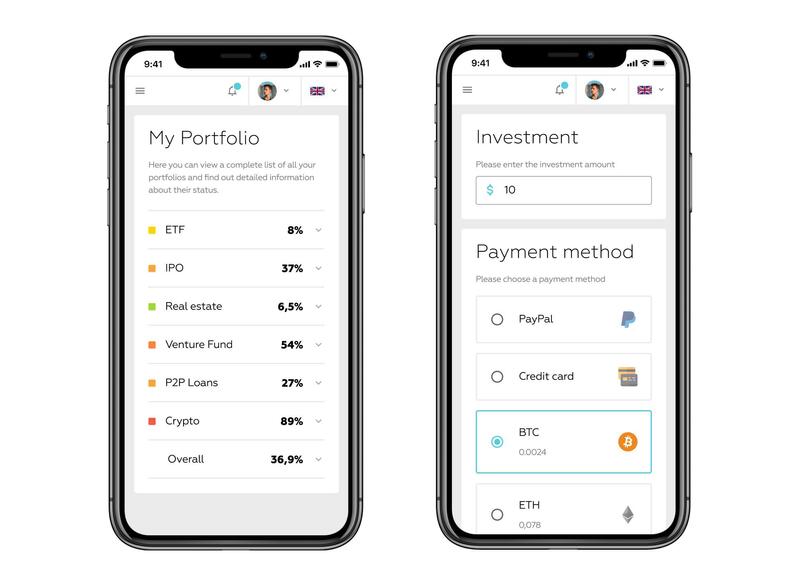 The platform is designed with strict selection criteria to ensure access only to verified companies, and a $10 entry threshold makes investing possible even for owners of smaller budgets or newbies. By applying the combination of AI and blockchain technologies, Roobee fully avoids commissions for buying investment products and aims to attract numerous investors of various categories. Roobee intends to target a broad range of markets from real estate to venture capital and allow its participants to make investments with an entry threshold of just $10. Over $15,000,000 have already circulated through the Roobee test system, as the platform has a working business model that has helped 5,000 people place over 21,000 ETH (~$15 mil.) in several investment funds, venture and blockchain projects during private rounds. The project community numbers over 200,000 potential clients, as in order to develop and promote Roobee the project team created several thematic communities called “Buffett’s $10” in social networks. Having garnered the support of prominent investors and being in the process of finalizing its next investment round, Roobee is preparing to launch its first private MVP version to allow access to the platform for the general public. By making investments widely accessible to average people, Roobee seeks to challenge the financial barriers that had previously made investing an option restricted for the rich. Being based on a strict philosophy of refraining from accepting last savings, loaned or borrowed funds as investment options, Roobee seeks to open the investment market for the broader public and make it accessible to anyone in the world via a safe, accountable and highly advanced platform built with flexibility in mind. With 94% of all millennials in the US alone having never deposited their money in bank accounts and over 30% of millennials around the world ready to invest in cryptocurrencies, according to a study conducted by Blockchain Capital, Roobee will allow its users to use both fiat and cryptocurrencies to invest in the companies and markets of their choice. Roobee has considered the specifics of the Z and Y generations and their investment behavior, and has thus adjusted its strategy and design to allow them the freedom and flexibility of choice in making sound financial decisions with proper guidance and instrument support. Roobee further plans to start preparation for the seed-round and intends to attract new investments through crowd-investing. The stage will include the sale of company shares and the attraction of venture investments. Roobee expects to have over 10,000 whitelist submissions by March 2019 from potential users seeking to take advantage of the unique product. The company estimates that its user base will increase to 100,000 by late 2019/early 2020 and expects it to surpass 1,000,000 by 2024. The market cap of Roobee, as per the company’s business plan, will reach $1bn by 2024.